Nea Potidea. Nea Potidea, also known as the Gates of Kassandra, is a coastal town on the Kassandra peninsula in the prefecture Halkidiki. Nea Potidea lies 68 kilometers (42 mi) from Thessaloniki and 30 kilometers (19 mi) from the capital of Chalkidiki, Polygyros. It has about 1,500 inhabitants. Greek refugees from Eastern Thrace in Turkey founded Nea Potidea in 1922. 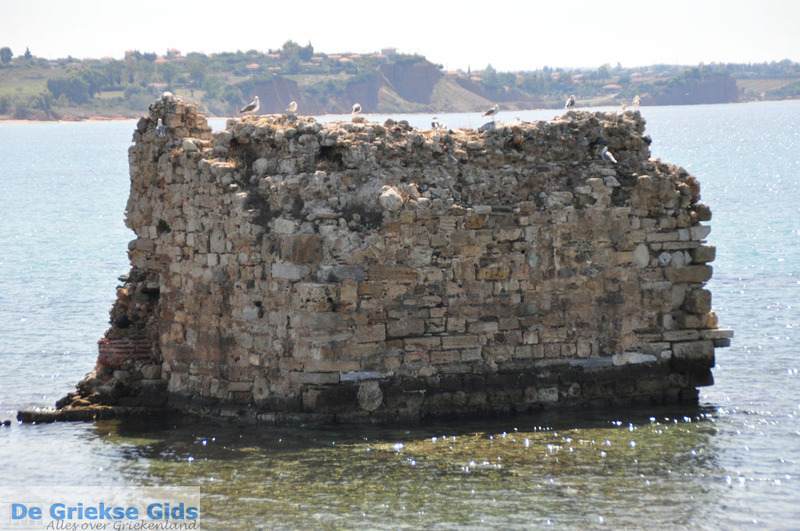 Nea Potidea is located at the narrowest point of the Kassandra peninsula. Here you can also see the main attraction of the town, the canal that connects the Gulf of Kassandra with the Thermaikos Gulf. The Corinthians founded the ancient Potidea in the year 600 BC. 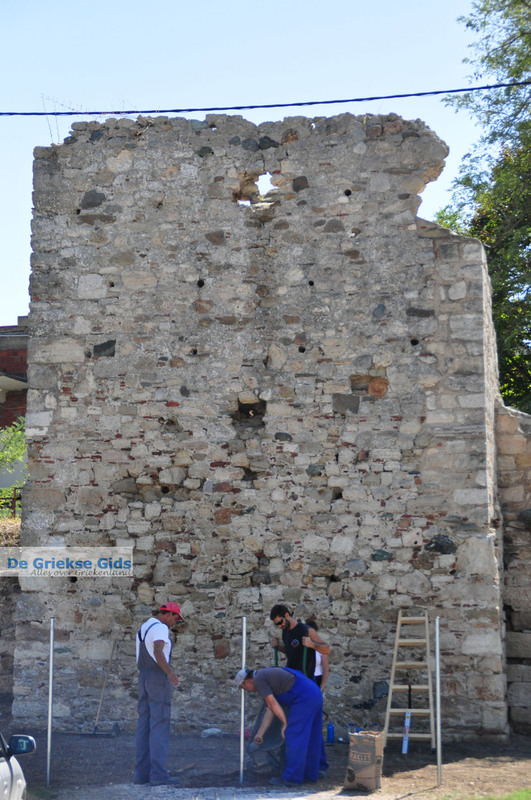 In ancient times, the city was very prosperous but was also often looted and vandalized. 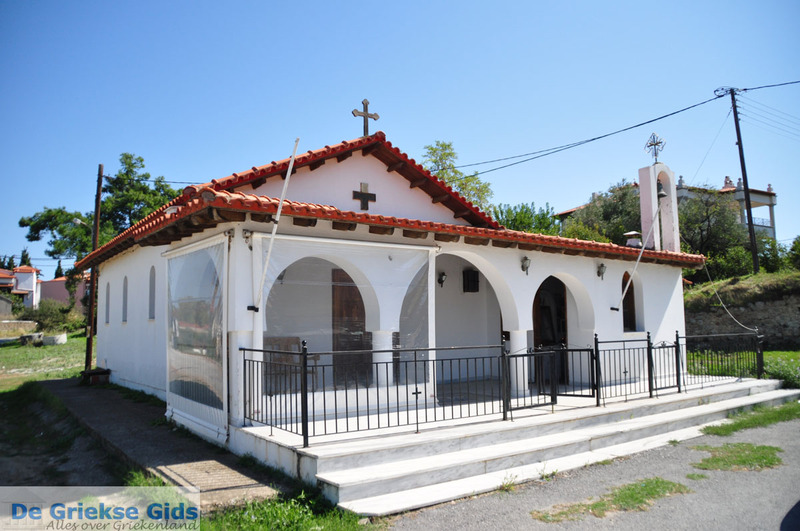 In ancient times, Nea Potidea was an important location during various historical wars. 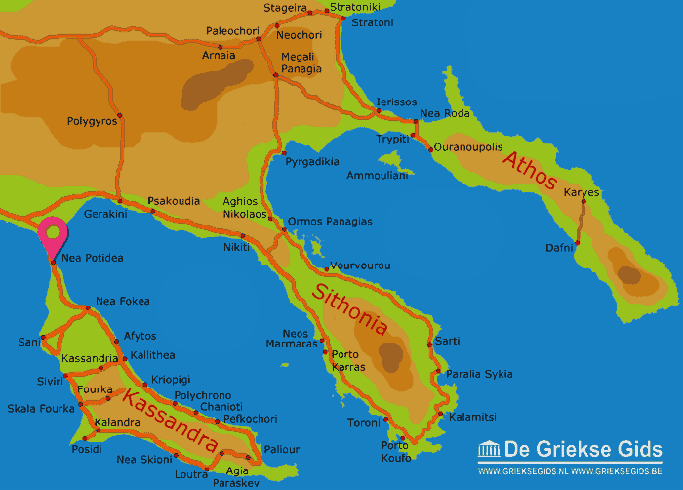 For a long time the city also was called Kassandria, a name given to the city by king Kassandros himself. In the year 500 AD, the Huns and Slavs ruined the city. Later, Catalans, Byzantines, Venetians and Turks occupied it, continually. 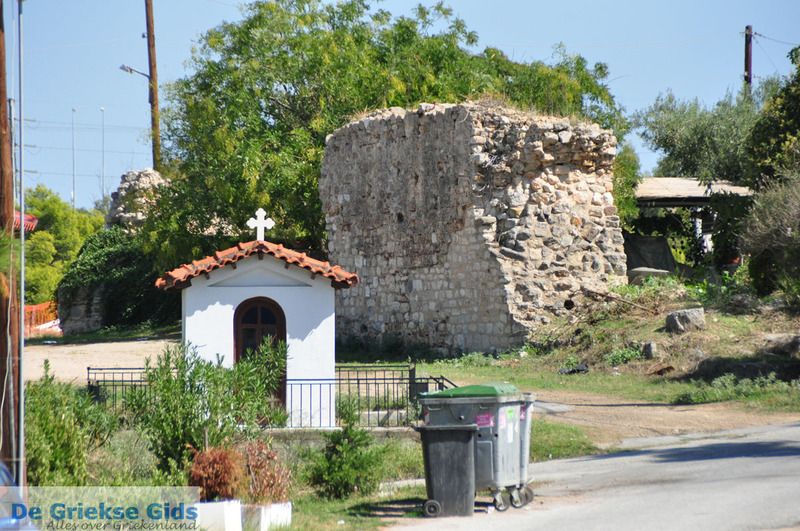 In 1821, the Greeks fought for their freedom against the Turks from the historic castle, which still can be visited today. The castle was the work of Byzantine Emperor Justinian, and later the Venetians reinforced it. The length of the castle walls was 1300 meters (4,300 ft), at the extreme corners, one reaching the Thermaikos Gulf and the other approaching the Gulf of Kassandra. 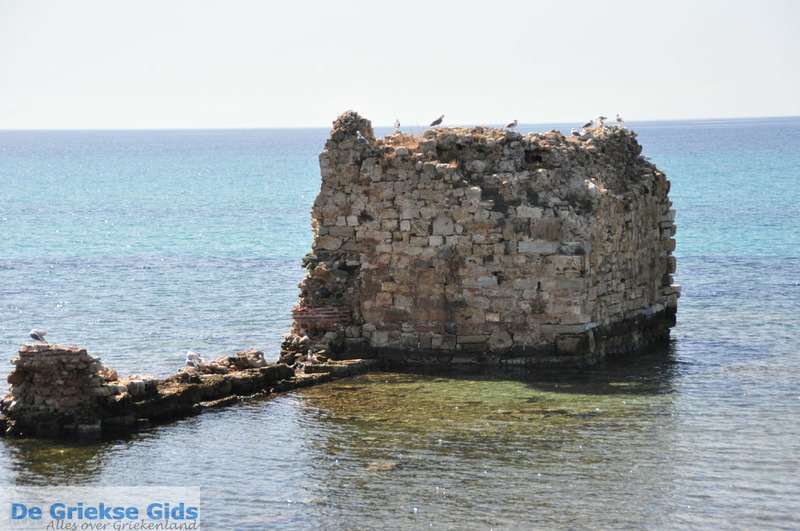 In an emergency, the gates of the castle shut down so that the peninsula no longer was accessible via the mainland. Hence, the historical name "The Gates of Kassandra." 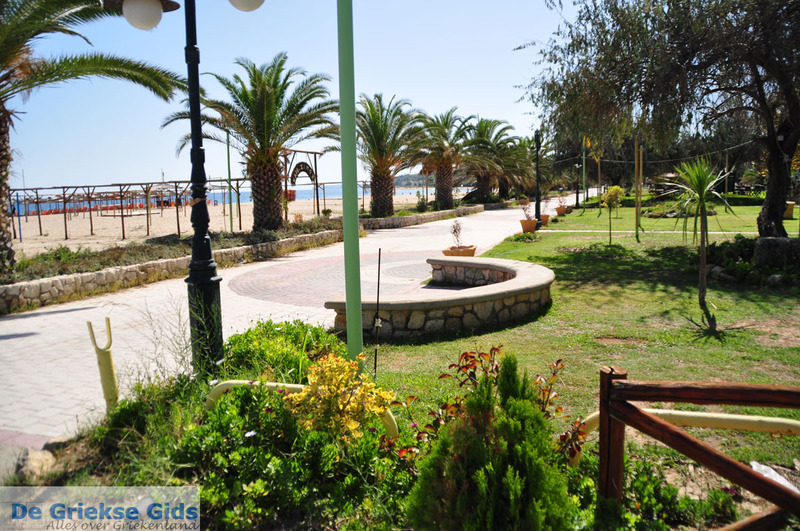 Today Nea Potidea is a modern town with many promenades and cycling trails. The beach is two kilometers (just over 1 mi) long. 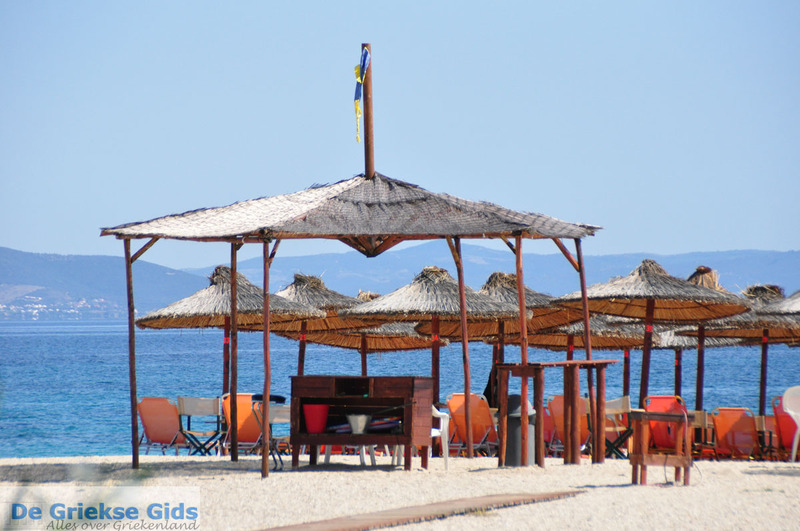 Many bars, seafood restaurants and ouzeris are easily accessed. Nea Potidea also has its own marina where many boats moor. 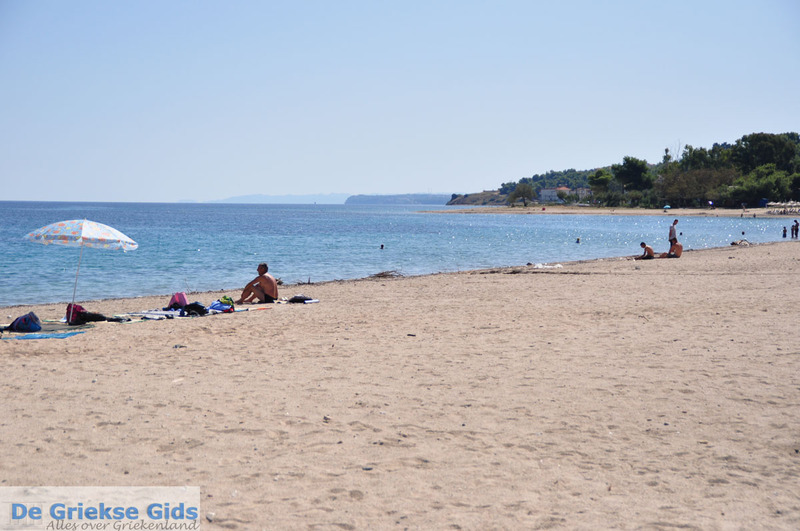 Halkidiki: Where on the map is Nea Potidea located?